They lift up their voices, they sing for joy; they shout from the west over the majesty of the LORD. Therefore in the east give glory to the LORD; in the coastlands of the sea glorify the name of the LORD, the God of Israel. From the ends of the earth we hear songs of praise, of glory to the Righteous One. But I say, I pine away, I pine away. Woe is me! For the treacherous deal treacherously, the treacherous deal very treacherously. Terror, and the pit, and the snare are upon you, O inhabitant of the earth! Whoever flees at the sound of the terror shall fall into the pit; and whoever climbs out of the pit shall be caught in the snare. For the windows of heaven are opened, and the foundations of the earth tremble. The earth is utterly broken, the earth is torn asunder, the earth is violently shaken. The earth staggers like a drunkard, it sways like a hut; its transgression lies heavy upon it, and it falls, and will not rise again. On that day the LORD will punish the host of heaven in heaven, and on earth the kings of the earth. They will be gathered together like prisoners in a pit; they will be shut up in a prison, and after many days they will be punished. Then the moon will be abashed, and the sun ashamed; for the LORD of hosts will reign on Mount Zion and in Jerusalem, and before his elders he will manifest his glory. Now who will harm you if you are eager to do what is good? But even if you do suffer for doing what is right, you are blessed. Do not fear what they fear, and do not be intimidated, but in your hearts sanctify Christ as Lord. Always be ready to make your defense to anyone who demands from you an accounting for the hope that is in you; yet do it with gentleness and reverence. Keep your conscience clear, so that, when you are maligned, those who abuse you for your good conduct in Christ may be put to shame. For it is better to suffer for doing good, if suffering should be God's will, than to suffer for doing evil. For Christ also suffered for sins once for all, the righteous for the unrighteous, in order to bring you to God. He was put to death in the flesh, but made alive in the spirit, in which also he went and made a proclamation to the spirits in prison, who in former times did not obey, when God waited patiently in the days of Noah, during the building of the ark, in which a few, that is, eight persons, were saved through water. And baptism, which this prefigured, now saves you-- not as a removal of dirt from the body, but as an appeal to God for a good conscience, through the resurrection of Jesus Christ, who has gone into heaven and is at the right hand of God, with angels, authorities, and powers made subject to him. Since therefore Christ suffered in the flesh, arm yourselves also with the same intention (for whoever has suffered in the flesh has finished with sin), so as to live for the rest of your earthly life no longer by human desires but by the will of God. You have already spent enough time in doing what the Gentiles like to do, living in licentiousness, passions, drunkenness, revels, carousing, and lawless idolatry. They are surprised that you no longer join them in the same excesses of dissipation, and so they blaspheme. But they will have to give an accounting to him who stands ready to judge the living and the dead. For this is the reason the gospel was proclaimed even to the dead, so that, though they had been judged in the flesh as everyone is judged, they might live in the spirit as God does. While Jesus was going up to Jerusalem, he took the twelve disciples aside by themselves, and said to them on the way, "See, we are going up to Jerusalem, and the Son of Man will be handed over to the chief priests and scribes, and they will condemn him to death; then they will hand him over to the Gentiles to be mocked and flogged and crucified; and on the third day he will be raised." Then the mother of the sons of Zebedee came to him with her sons, and kneeling before him, she asked a favor of him. And he said to her, "What do you want?" She said to him, "Declare that these two sons of mine will sit, one at your right hand and one at your left, in your kingdom." But Jesus answered, "You do not know what you are asking. Are you able to drink the cup that I am about to drink?" They said to him, "We are able." He said to them, "You will indeed drink my cup, but to sit at my right hand and at my left, this is not mine to grant, but it is for those for whom it has been prepared by my Father." When the ten heard it, they were angry with the two brothers. But Jesus called them to him and said, "You know that the rulers of the Gentiles lord it over them, and their great ones are tyrants over them. It will not be so among you; but whoever wishes to be great among you must be your servant, and whoever wishes to be first among you must be your slave; just as the Son of Man came not to be served but to serve, and to give his life a ransom for many." Almighty God, you called your church to be one, holy, catholic and apostolic. By your grace you have given us new life in Jesus Christ, and by your Spirit you have called us to proclaim his name through out the nations: Awaken in us such a love for you and your world that in this Decade of Evangelism we may so boldly proclaim Jesus Christ by word and deed that all people may come to know him as Savior and follow him as Lord; to the glory of your Name. Quite honestly, I think that is the way many people feel in the church today. They don’t want to be bothered with it. They just don’t care. They hear so much about the need for evangelism and hear sermons on how to share their faith with others. Programs are designed to mobilize the church to do it. But all this is of no consequence if we as believers lack one simple basic: a burden and a concern. Evangelism is of no consequence if we lack this basic. Padre santo, ¡qué bonito es poderte buscar cuando te necesitamos y saber que escuchas nuestras peticiones! Bendecimos tu santo nombre y te reconocemos como el Dios Todopoderoso. Ahora, te pedimos perdón por nuestros pecados y por las malas decisiones que tomamos. También por las promesas que te hicimos y nunca cumplimos. Por habernos dejado llevar por las cosas del mundo y no darte el primer lugar. Te agradecemos por tu ternura y amor, porque nos guardaste en medio de nuestra necedad. Señor, este año está a punto de terminar. Hemos llegado al último mes y queremos aprovecharlo al máximo. Por eso, te pedimos que pongas en nosotros tanto el querer como el hacer y podamos cumplir con esas metas que nos habíamos trazado desde el año pasado. Dios mío, en ti confía mi corazón, en ti espera mi alma y mi ser descansa en ti, así que puedo ser feliz porque sé que estás obrando en mi vida y estás mostrando tu perfecta voluntad. Elizabeth shuffled around her small house doing her daily chores. The house was silent except for the swishing broom and the occasional pebble tumbling across the floor. For more than half a century she had swept floors, mended garments, woven blankets, fetched the water, ground the grain, and cooked meals for Zechariah. He loved God, and she loved him for it. But he was no housekeeper. Not at home anyway. His service was in the temple. His father, as well as hers, had also served there. And from childhood she and Zechariah knew the Laws of Moses and the holy requirements of God. Not only was it their family duty, it was also their great privilege. With reverence, they celebrated every feast. With thankfulness, they offered sacrifices. And with joy they worshiped in hearing the word and singing the great psalms of Asaph. Their hearts were filled with worship, and their days were filled with service. Twice a year Zechariah served in Jerusalem at the temple for an entire week. This week his division of priests would be on duty. Sweeping the last of the pebbles out the front door, she glanced toward Zechariah. He sat hunched at the table, eyes closed, fingers laced, lips moving, but silent. Preparing for the grave responsibilities of the coming week. In just a few minutes they would part ways. He to the Jerusalem temple, and she to fetch the water with the other village women. With the house so quiet, she could hear the women and their gaggle of children coming down the hill. While mothers were occupied with water jars on heads and hips, the children scampered freely in the road. The happy little brood, always scurrying and scattering, made her giggle. Oh, their energy! As they neared, two little boys darted from behind their mother’s tunic and raced toward the edge of the terraced hill. The mother scolded and called them back, but before obeying, they each hurled a handful of rocks over the edge and listened to them bounce on the rocks below. Elizabeth gasped at the danger and smiled at their wonder. Bouncing rocks. What a thrill for little ones. She breathed an exhausted sigh at the thought of chasing them away from every danger. Hills, water, fire, animals. At her age, she had no business holding out hope for a child. She was spent just watching them. How many years had she asked the Lord for a baby? Her entire life it seemed. She glanced at Zechariah hoping the children’s jolly racket would not disrupt his prayers. But it was too late. He was up and ready to leave. 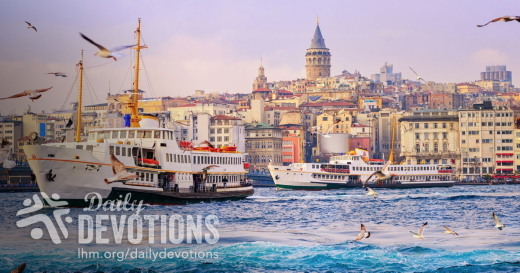 She kissed him goodbye and watched him amble toward the group of travelers headed to Jerusalem. She was glad he would have company. And help. Age was slowing them both down. “God, remember him on his journey,” she prayed as she joined the other women. She turned again in time to see him hobbling to keep up. How many more times will he be able to make the journey? And Lord, who will care for me when he’s gone? She surprised herself with her accusatory tone. She knew the Lord would provide as he had for their fathers in Egypt and the desert. He provided a son for Sarah, for Rachel, for Hannah. But not for her. She tried to push the nagging thought aside. A son would have been a fine way to provide, she thought, and then immediately repented. He is in heaven and I am on earth. I must let my words be few (Eccl 5:2). Our God is in the heavens, He does whatever He pleases (Psalm 115:3). She greeted the group of women and their darling young ones and joined the lively procession. There was no use guessing how God would provide. She knew his answer would likely be surprising. Dear Lord, Sometimes the wait is long. 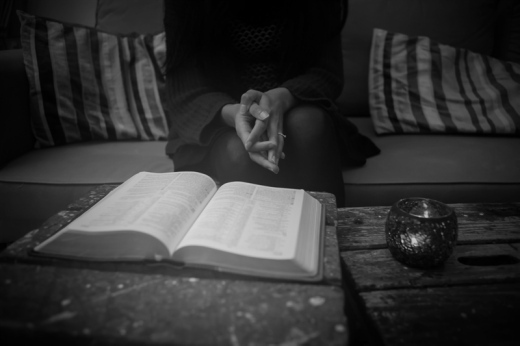 While I wait, please give me confidence in your great love and perfect plan. When waiting a day seems like a thousand years, help me remember that someday, a thousand years with You will seem like only a day. Poor, dear Zechariah and Elizabeth. They were regular humans like you and me. Heartache and desire wrestled for prominence in their minds. But Zechariah and Elizabeth are proof that it is possible, by God’s grace, to remain faithful to God even when we feel disappointed with His plan. What disappointments are you wrestling with today? How has God shown Himself faithful in your life or the lives of those around you? Pour your heart out to God. Tell Him your disappointments. Remember His faithfulness and praise Him for it. Experience the Christmas story as if for the first time this year with A Remarkable Advent: Stories of the Ordinary People God Chose to Fulfill His Extraordinary Plan. Download your FREE copy of this Advent devotional today. LHM Daily Devotion - December 1, 2017 "Ghoulies and Ghosties"
For we do not wrestle against flesh and blood, but against the rulers, against the authorities, against the cosmic powers over this present darkness, against the spiritual forces of evil in the heavenly realms. 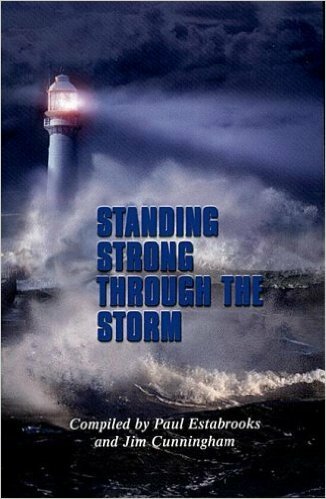 Therefore take up the whole armor of God, that you may be able to withstand in the evil day, and having done all, to stand firm. 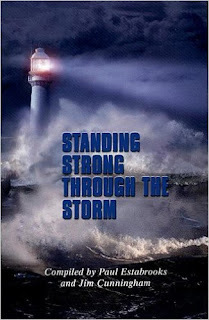 Stand therefore, having fastened on the belt of truth, and having put on the breastplate of righteousness. Depending on what historian you believe, it was the Scots, or the Welsh, who came up with a prayer which reads: "From ghoulies and ghosties, and long-leggedy beasties, and things that go bump in the night, Good Lord, deliver us!" Now the odds are that the person who first wrote that prayer had never seen any ghoulies or ghosties. Nor is it likely that he or she had had any encounters with long-leggedy beasties. 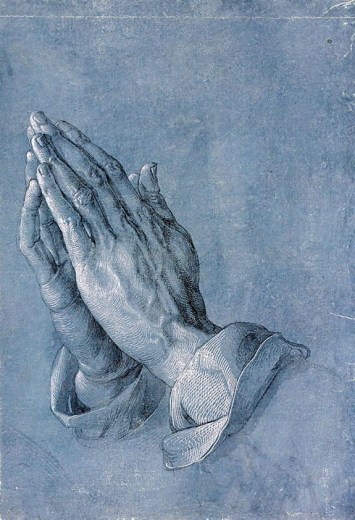 Still, that prayer has survived. It comes down to us partly because of its quaint language but also because it touches something deep down inside all of us: the fear of the unknown and the things which we cannot control. When European explorers set out across the sea, that might well have been their prayer. With only the most rudimentary of navigational tools and maps based on guesswork rather than fact, the unknown was a constant terror. Would they sail to the end of the earth and fall off into a bottomless abyss? Who could tell! When these explorers returned, mapmakers poured over their ships' logs and began to fill in the great unknowns across the sea. Eventually, major rivers, islands, navigable ports were shown. But there was still great expanses of ocean that had not been seen. There were still locations where all that was known was the unknown. In such places the mapmakers, the cartographers, with trembling hands wrote: "Here there may be dragons." They weren't sure, so they imagined the worst. It's not so different today. A recent poll taken in Great Britain has come up with a number of surprising statistics. For example, 64 percent of British adults admit they are still afraid of the dark. Nearly two-thirds of the nation disliked putting the lights out when they went to bed, and 36 percent regularly feel someone or something is in the room with them. As many as 20 percent regularly check under the bed for lurking monsters; 17 percent sleep with a light on most nights of the week, and 25 percent believe they have seen a mysterious shadow in their bedroom. If this poll is to be believed, it would appear that there are a lot of people who can, with their ancestors, honestly pray, "From ghoulies and ghosties, and long-leggedy beasties, and things that go bump in the night, Good Lord, deliver us!" Now the Bible is silent concerning ghoulies and the others that prayer mentions. 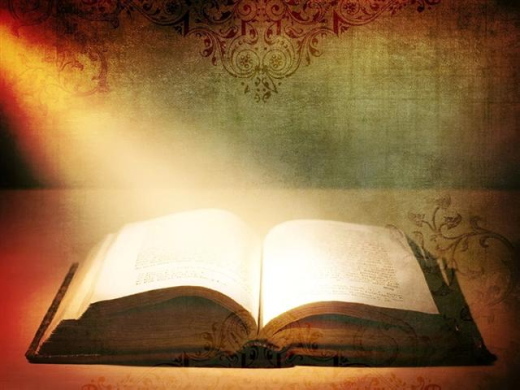 But that doesn't mean Scripture does not address the unseen spiritual realms. St. Paul spoke by inspiration when he wrote that we fight "against the rulers, against the authorities, against the cosmic powers over this present darkness, against the spiritual forces of evil in the heavenly places." These things, according to Paul, were very real. And so they are. But equally real is the power of the Lord who sent His Son into this world as the sacrifice who could rescue us from these forces of darkness. Comforted and strengthened by the power of God, Paul also wrote, "No, in all these things we are more than conquerors through Him who loved us. For I am sure that neither death nor life, nor angels nor rulers, nor things present nor things to come, nor powers, nor height nor depth, nor anything else in all creation, will be able to separate us from the love of God in Christ Jesus our Lord" (Romans 8:37-39). THE PRAYER: Dear Lord, from things seen and unseen deliver us. Keep my eyes on the Savior and the victories He has won to forgive and to rescue sinners In Jesus' Name. Amen. "From ghoulies and ghosties, and long-leggedy beasties, and things that go bump in the night, Good Lord, deliver us!" CPTLN Devocional de 01 de Diciembre de 2017 - "El álbum de fotos de Dios"
"El álbum de fotos de Dios"
Jesús hizo muchas otras señales en presencia de sus discípulos, las cuales no están escritas en este libro. Pero éstas se han escrito para que ustedes crean que Jesús es el Cristo, el Hijo de Dios, y para que al creer, tengan vida en su nombre. Hay un dicho popular que dice que 'una fotografía vale mil palabras'. En un viaje a Tailandia, mi esposa y yo sacamos más de ocho mil fotos. Lamentablemente, mi foto preferida nunca la capturé-al menos en una foto, ya que sucedió demasiado rápido: tres personas andando en una motoneta. No era la primera vez que lo veía. A menudo la madre va en el medio manejando, la hija mayor va detrás y la menor adelante. Pero lo que me impactó en esa ocasión fue la sonrisa dibujada en la cara de la niña más pequeña. Era una sonrisa que decía: "Todo está bien en mi mundo. No tengo ningún problema." Antes que pudiera preparar la cámara para sacarle una foto, ya se habían ido. Lo mismo deberíamos hacer con la Palabra de Dios. 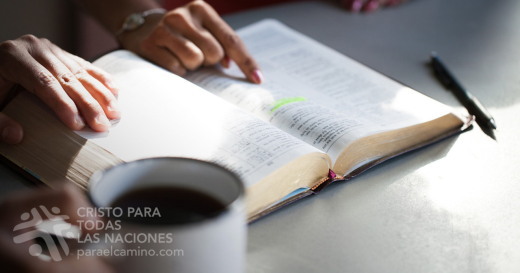 Las páginas de la Biblia nos muestran a un Dios que nos ama y que nos ofrece perdón, vida y salvación. Mi foto favorita es una cruz vacía manchada de sangre frente a un sepulcro abierto, con Jesús parado frente a la tumba diciéndole a una mujer: "Ve y dile a mis discípulos que he resucitado de los muertos..."
Las imágenes que encontramos en la Palabra de Dios son tan poderosas, que el Espíritu Santo las utiliza para crear fe en el corazón de las personas. Es claro que ninguna persona va a apreciar totalmente el amor de Dios hasta que mira el álbum de fotos de su Hijo. Es por ello que los cristianos invitamos a otros a mirarlo, diciendo: "¿te gustaría mirar la Biblia, que es el álbum de Dios?" Biografía del autor: Esta devoción fue escrita por el Rev. Keith Ringers, pastor de la iglesia San marcos en Elberta, Alabama. El Rev. Ringers y su esposa Diana fueron en un viaje misional a Tailandia, donde sirvieron con Cristo Para Todas Las Naciones en Bangkok y Phang Nga.